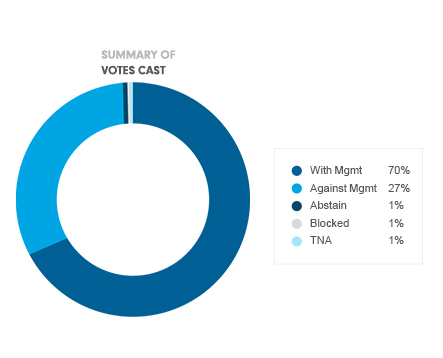 We update our voting record on a quarterly basis setting out how we cast our vote at each company meeting. If you have any questions relating to the voting information set out on this page, please call Marian Woodward on (44) 207 074 5793 or email ESGTeam@fil.com. 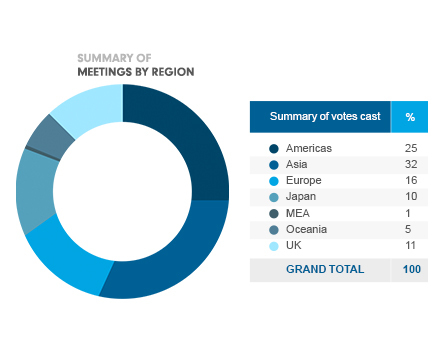 *** 'Took No Action’ meetings relate principally to the General Meetings of Fidelity Funds.